Along with the above changes, this update to Android 5.1.1 includes new settings menu icons, “additional options” for WiFi and Bluetooth in the notification pull-down menu, new icons in the Settings menu, LinkedIn integrations for Calendar and Contacts, enhanced enterprise features of some kind, and more. As mentioned, the Camera has also been updated including improvements for focus, speed, and accuracy in “Superior Auto” mode. If you own an Xperia Z1, Z2 or Z3 handset and are eagerly awaiting an update to Lollipop, Sony announced on its blog that it currently has the latest ASOP version of Android in testing ahead of a planned rollout next year. We are working to provide you with the necessary binary files as soon as we can. Once you have them, these binaries can be used as a base for compiling your own custom version of Android, together with source code for AOSP device configuration from the Sonyxperiadev GitHub. Device configurations are already available for Xperia Z1 and Xperia Z2, these will be updated, and are coming soon for Xperia Z3. 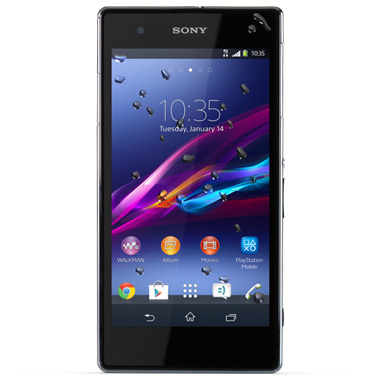 Sony is one of the main contributors to the Android Open Source Project. Sony has been making water resistant devices for quite a while now and to capitalize on this particular functionality the company has released a unique suite of underwater-friendly applications. Available to download from Google Play, this somewhat bizarre collection of software is comprised of six apps that showcase what your Sony-made waterproof device can do while submerged under water. 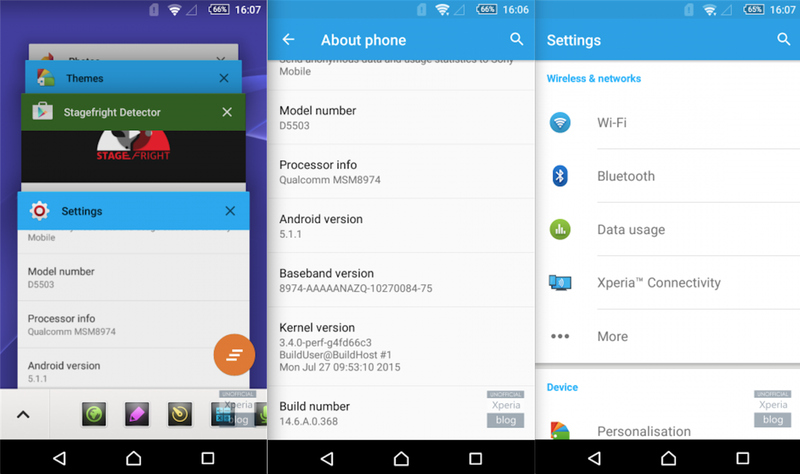 Android 4.4.4 is now available to Xperia Z1 owners on T-Mobile’s network. The new software push moves the handset’s build number to 14.4.B.0.37 and adds a few cosmetic changes, along with support for Sony’s SmartBand SWR10 and Lifelog app.